17.09.2019 Flight to Colombo just after mid-night. Arrival in Colombo early in the morning. Meet and Greet at Colombo Air Port. Transfer to Hotel near Airport. (Only Transit Stay for the night).In the morning, after break-fast, to proceed to Kandy via Pinnawala Elephant Orphanage Center and Spice Cultivation and/Garden. Arrival in Kandy. Transfer to Hotel. Night Halt at Kandy.Meals Included:- Break-Fast, Lunch and Dinner. 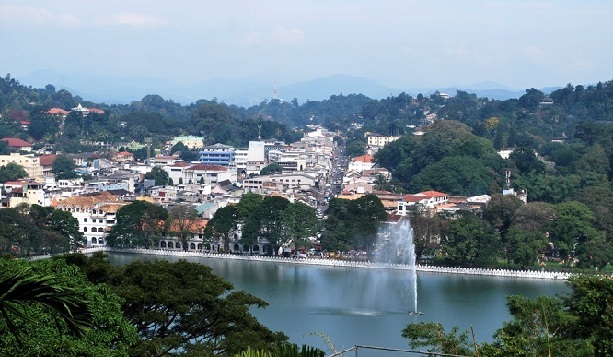 18.09.2019 City tour of Kandy including visit to Royal Palace of Kandy, Gems Factory Outlet (Gem Lapidary) and a craft Centre, and Royal Botanical Garden in Paradenia. Cultural Show in the evening. 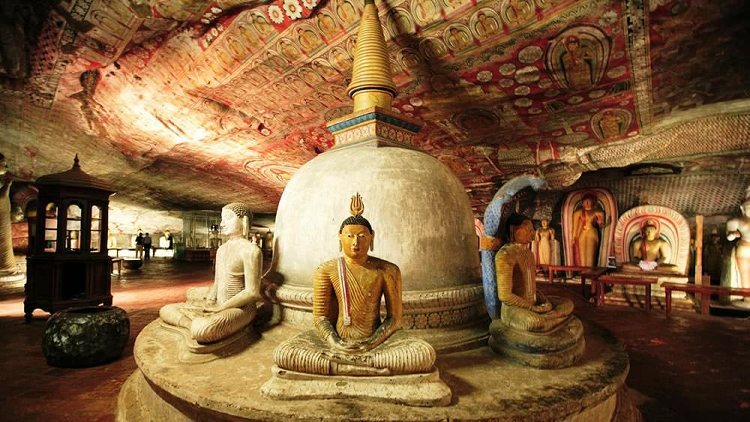 Late in the evening, visit Tooth Relic of Lord Buddha, to have a panoramic view of the city at upper lake in the night and Return to Hotel. Night Halt at Kandy. Meals included:- Break-Fast, Lunch and Dinner. 19.09.2019 After break-fast, proceed to Nuwara Eliya. On the way, visit Anjani (Hanuman) Temple of Ramayana trail at Ramboda followed by visit to Teas Estate and Tea Factory and enjoy the taste of Ceylon Tea. Visit Gregory Lake and then Check-in at Hotel in Nuwara Eliya. Night Halt at Nuwara Eliya. Meals included:- Break Fast, Lunch and Dinner. 20.09.2019 Early Break-Fast and check out from Hotel. Nuwara Eliya City Tour – Nuwara Eliya City Centre, Nuwara Eliya Race Course etc. Seetha Amman Temple (Ramayana Site) Ashok Vatika Garden from outside (Ramayana Site) Divurumpola (Ramayana Site). After Sight Seeing, proceed to Bentota. Arrival in Bentota. Transfer to Hotel. Night Halt at Bentota. Meals included:- Break Fast, Lunch and Dinner. 21.09.2019 Enjoy Madhu River Boat Safari, Visit to Turtle Hatchery in Kosgoda, Bentota City Tour. 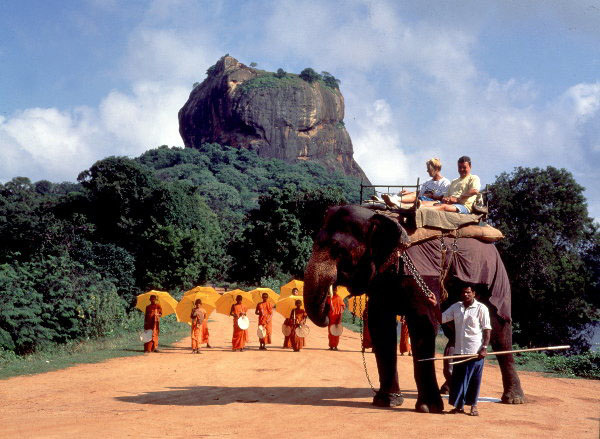 To proceed to Galle and visit Fort and Beach. Return to Bentota in the evening. Night Halt at Bentota. Meals included:- Break Fast, Lunch and Dinner. 22.09.2019 After leisurely Break-Fast, you can enjoy Water Sports at Madu / Bentota River.Important – Water Sports activities in Bentota River like Jet ski, Wind Surfing, Banana boat ride, snorkelling etc. are optional and at your own cost and it is not included in the Tour Cost. To proceed to Colombo. Arrival at Colombo in the afternoon. Visit House of Fashions, popular Shopping Mall for Indian Tourists. Transfer to Hotel. Night Halt. Meals included:- Break Fast, Lunch and Dinner. 23.09.2019 After break-fast, check out from Hotel and to proceed for half day city tour of Colombo including all the spots which are in “must see” category including Bandarnayke Memorial, International Convention Centre (Conference Hall) from outside, Cricket Stadium from outside, Freedom Memorial and the Museum etc. To proceed to Colombo Airport. Flight to Chennai late in the evening. Meals included:- Break Fast, Lunch and Dinner. 24.09.2019 To board the flight for Chennai at about 02.40 a.m. Arrival in Chennai at about 04.30 a.m. Transfer to Rly. Station . To board the Train for Nagpur in the morning. Meals included:- Break Fast and Lunch. 2. 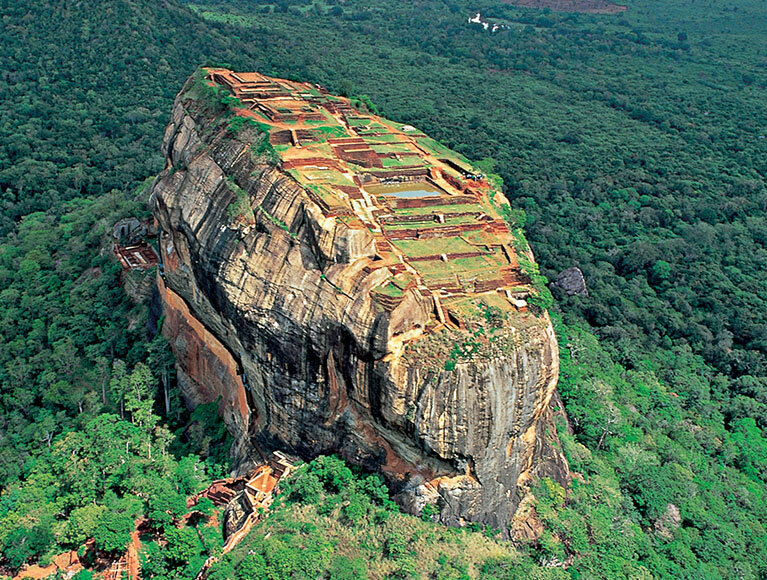 Three Star Hotel Accommodation in Sri Lanka at all places. 3. Four Star Hotel Accommodation in Bentota. 8. National Guide during the tour. 2. Any other item not mentioned in the list of Inclusions. 3. Video and Camera Tickets. 4. Any other Taxes which may be levied by the Indian Govt. Or Sri Lankan Govt in future, but before the end of the tour. • Tour Cost is always subject to change depending upon the prevailing Airfare at the time of booking. All Entry Tickets included in tour cost as mentioned above. Fully air conditioned luxury coach with National Guide on private basis. 2 bottles X (500ml) of mineral water per person per day. Complimentary Ice-Cream (once), Coconut Water (once) and Cold Drink(once) during the tour. 1. The cost mentioned above is on the assumption that INR and USD conversion rate will be USD 1 = INR 71. If the rate of USD goes beyond INR 71, the Tour Cost will increase on pro-rata basis. 2. For cancellation policy, pl. contact our office while booking your seat. 3. To obtain Visa, you must possess a valid Pass Port having validity for a period of six months beyond the date of your arrival back in India.